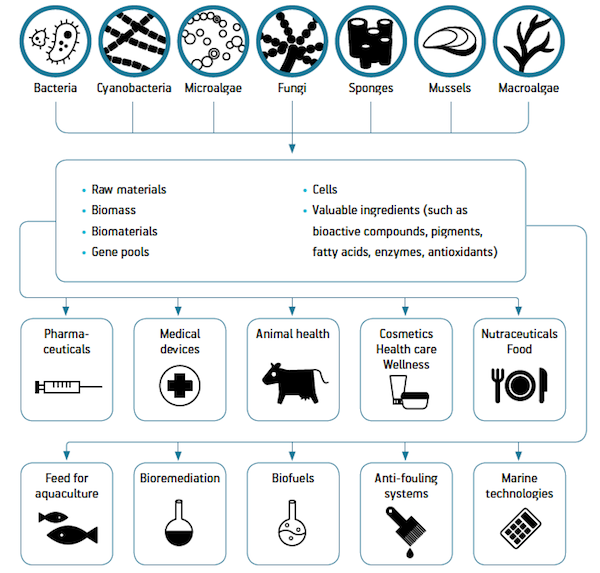 Currently the application of biotechnology to marine resources is still at a nascent stage even on a global scale. However numerous forecasts predict major growth based on ever more rising consumer demand and correspondingly large markets for blue biotech products in the fields of medicine, cosmetics, food and feed supplements as well as environmental and industrial applications coupled with the rapid increase of inventories of marine natural products and genes of commercial interest. 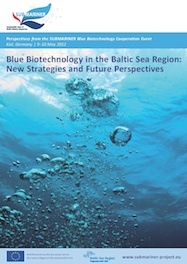 In the Baltic Sea Region Blue Biotechnology has so far not played a major role even though its marine organisms provide a great potential for exploration, with the added advantage of easier and thus more cost-efficient access and clearer legal conditions. What is more: research centres already exist in almost all BSR countries with special expertise in all the different Blue Biotechnology fields as well as in the operation of necessary equipment for biotechnology. Some investment though is needed in order to develop sufficient upscaling of equipment and related quality assurance processes. What is really missing, however, is a focused Baltic Sea wide strategy for the implementation of Blue Biotechnology, which is based on national strengths as well as the most urgent market needs within the Baltic Sea Region, all the while aligned with EU level developments. Based on such a strategy, regional disparities might also be turned into advantages, using laboratories in the eastern BSR while developing close links with the big pharmaceutical industry based more in the region’s western parts. The ongoing success of the ScanBalt network for the last ten years has shown that the BSR is well placed not only to develop but also to implement such kind of strategy. Discover Baltic Sea Region new marine uses institutions and sites!